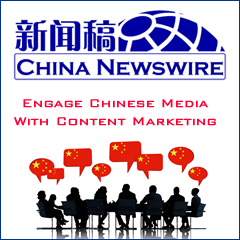 Chinese digital media and advertising company Focus Media (FMCN) announced its unaudited financial results for the third quarter ended September 30, 2008 and warned that the next few quarters might be tough for advertising in China. For the third quarter of 2008, Focus Media reported total revenues from continuing operations of USD224.8 million, an increase of 63.7% compared to USD137.4 million for the third quarter of 2007, and an increase of 6.2% compared to USD211.7 million for the second quarter of 2008. "We faced an extremely challenging advertising environment towards the end of the third quarter and in the fourth quarter. The recent global financial turmoil and slowdown in consumer demand in the US and European markets have had a significant negative impact on the Chinese economy as well as on the mindset of corporate decision makers in China. The macro headwind we are facing is the most severe in the modern history of the Chinese advertising industry. In particular, our Internet advertising business saw online advertising spending slowing after the Beijing Olympics," stated Dr. Tan Zhi, CEO of Focus Media. Total digital out-of-home advertising revenue was USD153.8 million in the third quarter of 2008, an increase of 62.4% from USD94.7 million in the third quarter of 2007, and a sequential increase of 13.6% from USD135.4 million in the second quarter of 2008. In the third quarter of 2008, commercial location advertising revenue was USD93.1 million, contributing 60.5% of total digital out-of-home advertising revenue. Advertising service revenue from Focus Media's in-store network was USD16.8 million, or 10.9% of total digital out-of-home advertising revenue. Advertising service revenue from the company's in-elevator poster frame network placed primarily in the elevators of residential buildings was USD44.0 million in the third quarter of 2008, or 28.6% of total digital out-of- home advertising revenue. As of September 30, 2008, the total installed base of LCD displays and digital frames in Focus Media's commercial location network was 120,131 nationwide, including 114,300 displays through directly-owned networks, and 5,831 displays through regional distributors. The total number of displays installed in Focus Media's in-store network including CGEN was 56,614 as of September 30, 2008, decreasing slightly from 58,493 as of June 30, 2008 due to continuing effort to optimize the combined in-store network coverage during the integration of CGEN following its acquisition in early January. The total number of non-digital frames available for sale on Focus Media's in-elevator poster frame network was 273,813 as of September 30, 2008. In addition, as of September 30, 2008, we had 29,546 digital frames installed in our poster frame network. Internet advertising service revenue was USD70.8 million in the third quarter of 2008, an increase of 66.5% compared to USD42.5 million for the third quarter of 2007, and a decrease of 7.0% compared to USD76.1 million for the second quarter of 2008. Gross profit for the third quarter of 2008 was USD109.7 million, representing an increase of 58.5% compared to USD69.2 million in the third quarter of 2007 and a 22.7% increase compared to USD89.4 million in the second quarter of 2008. In the third quarter of 2008, operating expenses totaled USD52.7 million, including USD3.2 million in acquired intangible asset amortization resulting from acquisitions and non-cash share-based compensation expense of USD10.4 million. Selling and marketing expenses in the third quarter totaled USD28.4 million, including USD3.2 million in acquired intangible asset amortization and USD4.7 million in share-based compensation expense. Net income for the third quarter of 2008 was USD51.3 million. Third quarter 2008 operating cash flow was USD35.4 million. Focus Media's capital expenditure was USD17.0 million, mostly for the purchase of digital frames. Focus Media estimates its total net revenues for the fourth quarter of 2008 will range from USD190 million to USD200 million. Fourth quarter 2008 net income excluding share-based compensation expenses and non-GAAP amortization of intangible assets resulting from acquisitions is expected to be between USD60 million and USD61 million or USD0.45 to USD0.46 per fully diluted ADS based on 134 million average total ADS-equivalent-shares outstanding, excluding any potential one-time charges relating to the restructuring of CGEN.